Picture a singer-songwriter and up pops the image of a guy or gal with an acoustic raving about personal problems, politics or the current of the planet. 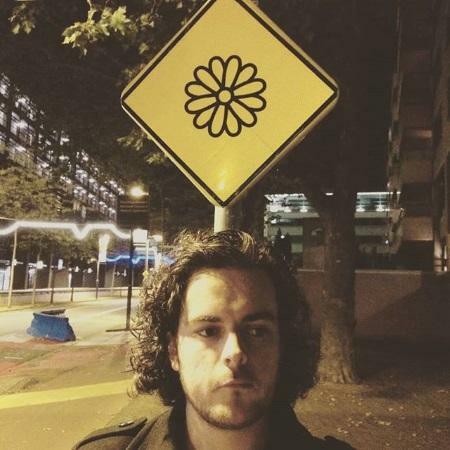 And at first Patrick McCallion seems to fit that description on his new EP Keep Smiling. He is even singing about Coffee, the stuff they serve in places that might book a musician for some light entertainment for their clientele, who are likely to become more shocked as the song transforms into rocking electric guitar mayhem. He is angry alright. After the deceptive mellow start anything goes and he lets rip with good old big sounding post-punk anthems, with bluesy swagger during Murky Waters (spot the well-placed the Green Onions lick) and the Muse-inspired Bedlam (It's A Hell Of A Town) as the loudest (and best) of the crop. Patrick McCallion is dead serious, but he serves up his beefs on a platter filled with punk, rock and bravado. Somewhere Billy Bragg is smiling and giving him the thumbs up. Keep Smiling is a self-released EP. Buy it from his website.